An omni-channel strategy must include various touchpoints, a shared inventory and marketing that targets multiple channels. In today’s digital world, consumers shop in mobile devices, computers, smart TVs, stores and social media. Medium-sized retailers can pioneer in the omni-channel world if they focus on getting a single cloud-based platform to build a 360° experience and avoid a lengthy, costly and loose integration of legacy systems. NetSuite and Klugo put their experience with +3,000 retailers to write the ten commandments for a true omni-channel retail. 52% of wholesale distribution businesses in Australia are migrating to fully integrated and centralised cloud-based ERP software solutions. 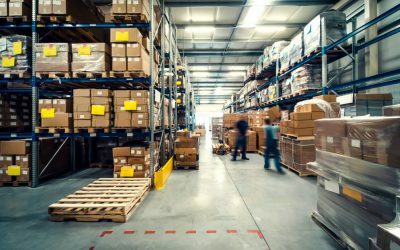 They can manage everything from financials and accounting to warehouse management, supply chain, inventory and demand planning to sales and marketing. With this technology their business is run from one single solution, accessible everywhere in real time.